On the hunt for that perfect used Honda car or used Honda SUV? In Salem we have a number of affordable used car lease deals. 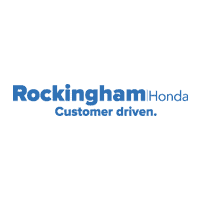 When you choose a pre-owned vehicle from Rockingham Honda, you can trust that whatever make and model you choose has been thoroughly inspected for quality. Better yet, we have a variety of used car specials available so you can feel good about what you choose to drive home to Methuen. 2017 Honda Civic EX-L Lunar Silver Metallic Certified. Clean CARFAX. CARFAX One-Owner.FWD CVT 1.5L I-4 DI DOHC Turbocharged Factory Certified Pre-Owned Vehicle!, Certified By Carfax - No Accidents and One Owner!, Local Trade In, Service Records Available, Moonroof, Rear View Back-Up Camera, Bluetooth Hands Free Calling, Apple Car Play, Heated Front Leather Seats, Fully Serviced To Current Date And Mileage, Black/Gray Leather, 17 Alloy Wheels, 4-Wheel Disc Brakes, 8 Speakers, ABS brakes, AM/FM radio: SiriusXM, Auto-dimming Rear-View mirror, Brake assist, Electronic Stability Control, Exterior Parking Camera Rear, Four wheel independent suspension, Front dual zone A/C, Front fog lights, Fully automatic headlights, Heated front seats, Leather Seat Trim, Power driver seat, Power moonroof, Radio data system, Radio: 180-Watt AM/FM/HD/SiriusXM Audio System, Rear window defroster, Remote keyless entry, Security system, Speed-sensing steering, Steering wheel mounted audio controls, Traction control.32/42 City/Highway MPGHonda Certified Used Cars Details:* Powertrain Limited Warranty: 84 Month/100,000 Mile (whichever comes first) from original in-service date* 182 Point Inspection* Vehicle History* Transferable Warranty* Warranty Deductible: $0* Roadside Assistance* Limited Warranty: 12 Month/12,000 Mile (whichever comes first) after new car warranty expires or from certified purchase dateAwards:* 2017 KBB.com Brand Image Awards * 2017 KBB.com 10 Most Awarded Brands2016 Kelley Blue Book Brand Image Awards are based on the Brand Watch(tm) study from Kelley Blue Book Market Intelligence. Award calculated among non-luxury shoppers. For more information, visit www.kbb.com. Kelley Blue Book is a registered trademark of Kelley Blue Book Co., Inc.
2016 Honda CR-V SE Alabaster Silver Metallic Certified. Clean CARFAX. CARFAX One-Owner.AWD CVT 2.4L I4 DOHC 16V i-VTEC Factory Certified Pre-Owned Vehicle!, Certified By Carfax - No Accidents and One Owner!, Local Trade In, Service Records Available, Rear View Back-Up Camera, Bluetooth Hands Free Calling, MP3 - Ipod Compatible, AWD - Never Worry About The Weather, Fully Serviced To Current Date And Mileage, AWD, 17 Alloy Wheels, 4 Speakers, 4-Wheel Disc Brakes, ABS brakes, AM/FM radio, AM/FM/CD Audio System w/4 Speakers, Brake assist, CD player, Cloth Seat Trim, Electronic Stability Control, Exterior Parking Camera Rear, Four wheel independent suspension, Radio data system, Remote keyless entry, Security system, Speed-sensing steering, Steering wheel mounted audio controls, Traction control.Odometer is 5157 miles below market average! 25/31 City/Highway MPGHonda Certified Pre-Owned Details:* Roadside Assistance with Honda Care purchase* Vehicle History* Transferable Warranty* Limited Warranty: 12 Month/12,000 Mile (whichever comes first) after new car warranty expires or from certified purchase date* Powertrain Limited Warranty: 84 Month/100,000 Mile (whichever comes first) from original in-service date* 182 Point Inspection* Warranty Deductible: $0Awards:* 2016 IIHS Top Safety Pick+ (With Touring Model) * ALG Residual Value Awards * 2016 KBB.com Brand Image Awards2016 Kelley Blue Book Brand Image Awards are based on the Brand Watch(tm) study from Kelley Blue Book Market Intelligence. Award calculated among non-luxury shoppers. For more information, visit www.kbb.com. Kelley Blue Book is a registered trademark of Kelley Blue Book Co., Inc.
2017 Honda Accord EX-L Crystal Black Pearl Certified. Clean CARFAX. CARFAX One-Owner.FWD CVT 2.4L I4 DOHC i-VTEC 16V Factory Certified Pre-Owned Vehicle!, Moonroof, Navigation, Rear View Back-Up Camera, Back-up Warning Sensors, Blind Spot Technology - Never Worry When Changing Lanes Again! !, Bluetooth Hands Free Calling, Apple Car Play, Heated Front Leather Seats, Fully Serviced To Current Date And Mileage, Black w/Leather-Trimmed Seats, 4-Wheel Disc Brakes, 7 Speakers, ABS brakes, Alloy wheels, AM/FM radio: SiriusXM, Auto-dimming Rear-View mirror, Brake assist, CD player, Distance-Pacing Cruise Control, Electronic Stability Control, Exterior Parking Camera Rear, Four wheel independent suspension, Front dual zone A/C, Front fog lights, Fully automatic headlights, Heated front seats, Leather-Trimmed Seats, Memory seat, Navigation System, Power driver seat, Power moonroof, Power passenger seat, Radio data system, Radio: 360-Watt AM/FM/HD Premium Audio System, Remote keyless entry, Security system, Speed-sensing steering, Steering wheel mounted audio controls, Traction control.Odometer is 34533 miles below market average! 27/36 City/Highway MPGHonda Certified Pre-Owned Details:* Warranty Deductible: $0* Limited Warranty: 12 Month/12,000 Mile (whichever comes first) after new car warranty expires or from certified purchase date* 182 Point Inspection* Vehicle History* Transferable Warranty* Powertrain Limited Warranty: 84 Month/100,000 Mile (whichever comes first) from original in-service date* Roadside Assistance with Honda Care purchaseAwards:* 2017 IIHS Top Safety Pick+ (When equipped with Honda Sensing and specific headlights) * ALG Residual Value Awards * 2017 KBB.com 10 Most Awarded Brands * 2017 KBB.com Brand Image Awards2016 Kelley Blue Book Brand Image Awards are based on the Brand Watch(tm) study from Kelley Blue Book Market Intelligence. Award calculated among non-luxury shoppers. For more information, visit www.kbb.com. Kelley Blue Book is a registered trademark of Kelley Blue Book Co., Inc.
2015 Jeep Grand Cherokee Laredo Black / Forest Green Clean CARFAX. CARFAX One-Owner.4WD 8-Speed Automatic 3.6L V6 24V VVT Certified By Carfax - No Accidents and One Owner!, Local Trade In, Service Records Available, Rear View Back-Up Camera, Bluetooth Hands Free Calling, MP3 - Ipod Compatible, 4X4 - Never Worry About The Weather, Fully Serviced To Current Date And Mileage, 4WD, 17 x 8.0 Aluminum Wheels, 1-Yr. SIRIUSXM Radio Service, 4-Wheel Disc Brakes, ABS brakes, Automatic temperature control, Brake assist, Bright Side Roof Rails, Cloth Low-Back Bucket Seats, Compass, Electronic Stability Control, Four wheel independent suspension, Front dual zone A/C, Front fog lights, Fully automatic headlights, Normal Duty Suspension, Power 4-Way Driver Lumbar Adjust, Power 8-Way Driver/Manual Passenger Seat, Quick Order Package 23E, Remote keyless entry, SIRIUSXM Satellite Radio, Speed control, Speed-Sensitive Wipers, Steering wheel mounted audio controls, Traction control. 2015 Acura TLX 3.5L V6 Crystal Black Pearl Clean CARFAX. CARFAX One-Owner.FWD 9-Speed Automatic 3.5L V6 SOHC VTEC 24V Certified By Carfax - No Accidents and One Owner!, Service Records Available, Moonroof, Navigation, Rear View Back-Up Camera, Back-up Warning Sensors, Bluetooth Hands Free Calling, MP3 - Ipod Compatible, Premium Stereo, Heated Front Leather Seats, Fully Serviced To Current Date And Mileage, 10 Speakers, 18 x 7.5 Aluminum Alloy Wheels, 4-Wheel Disc Brakes, ABS brakes, AM/FM radio: SiriusXM, Auto-dimming door mirrors, Auto-dimming Rear-View mirror, Automatic temperature control, Blind Spot Sensor, Brake assist, CD player, Distance-Pacing Cruise Control, Electronic Stability Control, Exterior Parking Camera Rear, Four wheel independent suspension, Front dual zone A/C, Front fog lights, Garage door transmitter: HomeLink, Heads-Up Display, Heated & Ventilated Front Sport Seats, HVAC memory, Memory seat, MP3 decoder, Navigation System, Power driver seat, Power moonroof, Premium audio system: Acura/ELS Surround, Premium Milano Perforated Leather Trimmed Seats, Radio data system, Radio: Acura/ELS Studio Premium Audio System, Rain sensing wipers, Rear window defroster, Remote keyless entry, Security system, Speed-sensing steering, Steering wheel mounted audio controls, Traction control.21/34 City/Highway MPGAwards:* 2015 IIHS Top Safety Pick+ * 2015 KBB.com 10 Best Luxury Cars Under $35,000 * 2015 KBB.com Our 10 Favorite New-for-2015 CarsFor more information, visit www.kbb.com. Kelley Blue Book is a registered trademark of Kelley Blue Book Co., Inc.*Insurance Institute for Highway Safety. 2016 Dodge Challenger R/T Blue Pearl Clean CARFAX. CARFAX One-Owner.RWD 8-Speed Automatic HEMI 5.7L V8 Multi Displacement VVT Certified By Carfax - No Accidents and One Owner!, Service Records Available, Navigation, Rear View Back-Up Camera, Bluetooth Hands Free Calling, MP3 - Ipod Compatible, Heated Front Leather Seats, 1-Yr SiriusXM Radio Service, 276 Watt Amplifier, 4-Wheel Disc Brakes, 6 Mo. Trial (Registration Required), 8.4 Touchscreen Display, ABS brakes, Automatic temperature control, Blind Spot & Cross Path Detection, Brake assist, Bright Pedals, Door Trim Panels w/Ambient Lighting, Driver Convenience Group, Electronic Stability Control, For More Info, Call 800-643-2112, Front fog lights, Fully automatic headlights, GPS Antenna Input, GPS Navigation, Heated Front Seats, Heated Steering Wheel, Hectic Mesh Interior Accents, Instrument Panel Satin Silver Bezel, Leather Trim Seats, Nappa Leather Sport Seat, Nav Capable! See Dealer For Details, ParkSense Rear Park Assist System, ParkView Rear Back-Up Camera, Power driver seat, Power Multi-Function Foldaway Mirrors, Power Tilt/Telescope Steering Column, Quick Order Package 28D R/T Plus, Radio: Uconnect 8.4, Rear Bodycolor Spoiler, Remote keyless entry, Security system, Shark Fin Antenna, SiriusXM Satellite Radio, Speed-sensing steering, Steering wheel mounted audio controls, Traction control, Uconnect Access, Universal Garage Door Opener, Ventilated Front Seats, Wheels: 20 x 8.0 Polished/Painted Aluminum. 2016 Ram 1500 Big Horn Bright White Clearcoat Clean CARFAX. CARFAX One-Owner.4WD 8-Speed Automatic HEMI 5.7L V8 Multi Displacement VVT Certified By Carfax - No Accidents and One Owner!, Service Records Available, 4X4 - Never Worry About The Weather, Fully Serviced To Current Date And Mileage, 115V Auxiliary Power Outlet, 26 Gallon Fuel Tank, 40/20/40 Split Bench Seat, 4-Wheel Disc Brakes, 6 Month Trial (Reg. Required), 6 Month Trial (Registration Required), 8.4 Touchscreen Display, ABS brakes, Ash Tray Lamp, Auto-Dimming Exterior Mirrors, Big Horn Badge, Big Horn Regional Package, Brake assist, Bright/Bright Billets Grille, Charge Only Remote USB Port, Class IV Receiver Hitch, Dual Rear Exhaust w/Bright Tips, Electric Shift-On-Demand Transfer Case, Electroluminescent Instrument Cluster, Electronic Stability Control, Exterior Mirrors Courtesy Lamps, Exterior Mirrors w/Supplemental Signals, Fog Lamps, Folding Flat Load Floor Storage, For Details Visit DriveUconnect.com, Front Armrest w/3 Cupholders, Front Center Seat Cushion Storage, Glove Box Lamp, GPS Antenna Input, Integrated Voice Command w/Bluetooth, Leather Wrapped Steering Wheel, LED Bed Lighting, Media Hub (SD, USB, AUX), Nav-Capable! See Dealer for Details, Overhead Console w/Garage Dr Opener, ParkSense Front/Rear Park Assist System, ParkView Rear Back-Up Camera, Power 10-Way Driver Seat, Power Folding Mirrors, Power Heated Fold-Away Mirrors, Power Lumbar Adjust, Premium Cloth 40/20/40 Bench Seat, Quick Order Package 26S Big Horn, Radio: Uconnect 8.4, Rear 60/40 Split Folding Seat, Rear Dome w/On/Off Switch Lamp, Rear-View Auto-Dimming Mirror w/Microphone, Remote SD Card Slot, Remote Start System, Security Alarm, SIRIUSXM Satellite Radio, Steering Wheel Mounted Audio Controls, Storage Tray, Sun Visors w/Illuminated Vanity Mirrors, Traction control, Uconnect Access, Underhood Lamp, Universal Garage Door Opener, Wheels: 20 x 8 Aluminum Chrome Clad.Odometer is 5273 miles below market average!